Crackle Creme just opened last month in Chinatown, or more like the outskirts of Chinatown on Union St. with a lovely view of the Georgia Viaduct and some very dead grass since it was super hot that week. This was the nicer side of Chinatown though! The interior is pretty small as expected and has a few bar style seats along the walls. The menu is written on a piece of glass at the front. Sorry it might be hard to read but there was an impressive variety of flavours! I had trouble deciding as usual… Unfortunately they were sold out of the Earl Grey and the Matcha already. The owner said that he was still trying to figure out what sells and what doesn’t. We went on Wednesday and he said that since they are not open on Monday and Tuesday he wasn’t at work to make more creme brule! He also let us try some of his home made Earl Grey ice cream. It was really hard and frozen from the freezer but the distinct Earl Grey flavour was there. 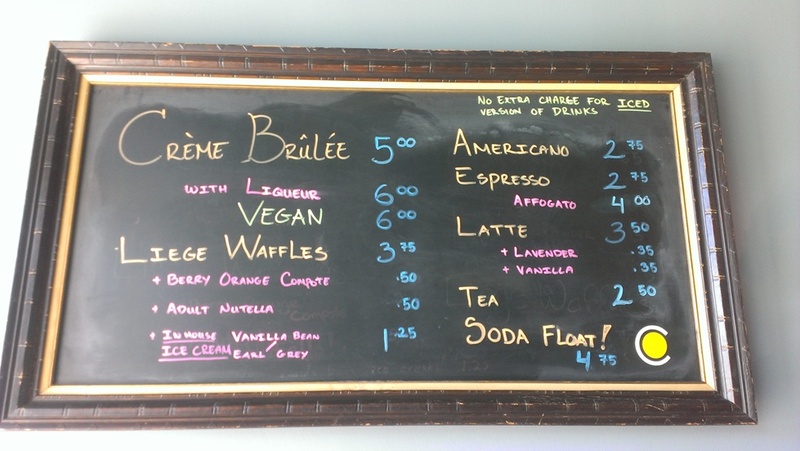 They also serve coffee and liege waffles! Might give those a try sometime! The creme brules are torched on the spot for us and it was pretty cool to watch. My friend had the Mango Passion flavour. The flavours were definitely there! I finally decided on the Espresso flavour. 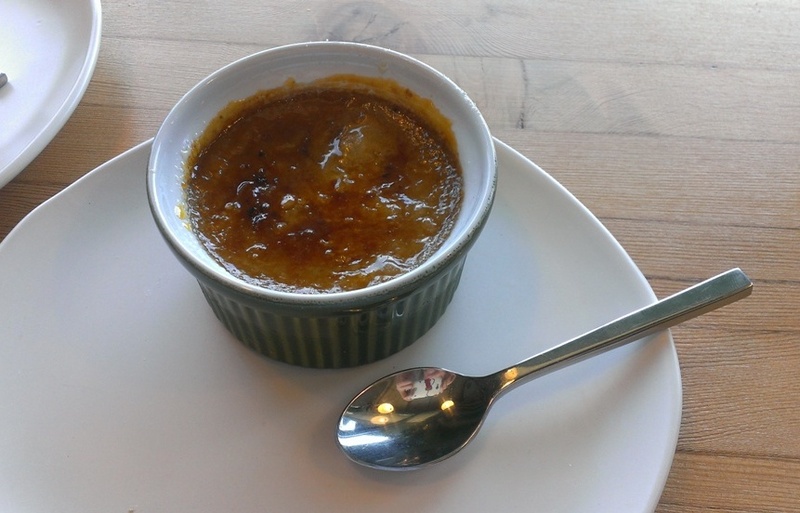 The carmelized sugar on top was nice and crunchy while the soft custard inside was packed with flavour. It was quite creamy and rich but I thought the texture could’ve been more firm? It was super soft and smooth like cream from a cream puff but thicker? 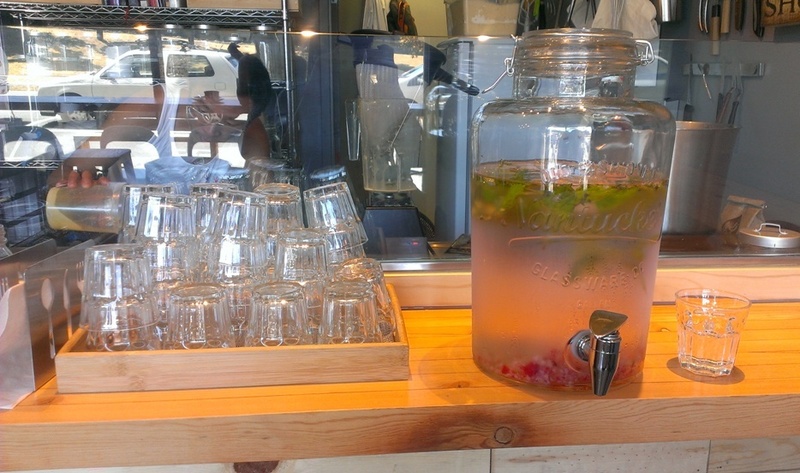 There was also a container of water that you can help yourself to. It had some type of leaves (mint?) and raspberries inside so it was nice and refreshing. I would recommend giving this place a try since there aren’t any other dessert places that specialize in creme brule! I’m also excited to try some of the other flavours as well (Earl Grey and matcha!). Please note that they are closed on Mondays and Tuesdays. 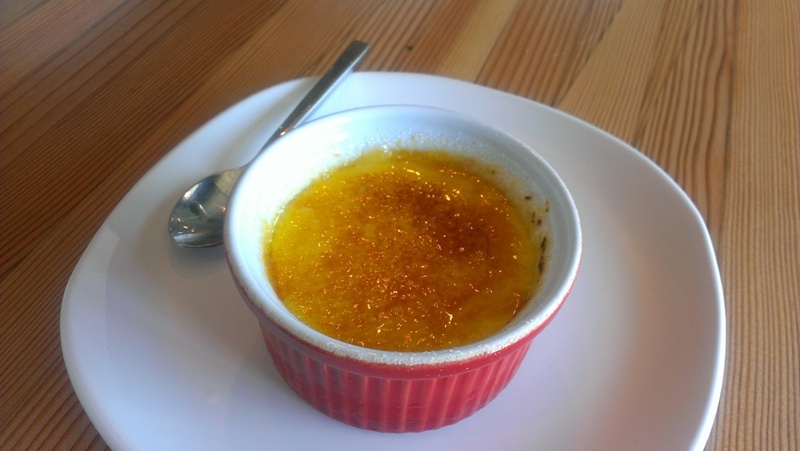 This entry was posted in Desserts, Food Reviews and tagged creme brule, dessert, waffles. 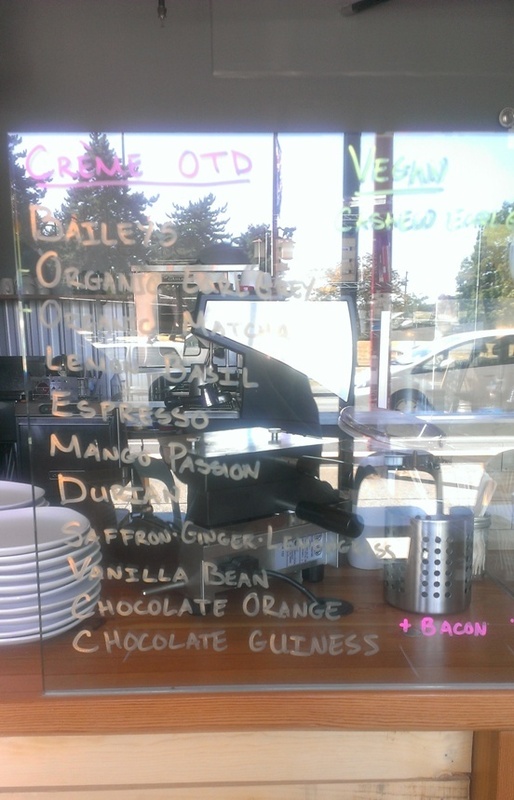 I’m no big creme brulee fan or dessert but VEGAN creme brule?! SOLD!